You will study in your own time and at your own pace. You will receive subject streaming videos, e books and training manuals. You will also receive unlimited online help 7 days a week and any new or updated video content streaming on our student resource site. You will work through each module until you have mastered that skill before moving on to the next. You can ask as many questions as you need to throughout the course. You can get through any subject as quickly as you like (some students can do a subject easily in 2-3 weeks) or you can take as long as you like. We have NO time limits on any of our courses. Do I need prior experience in this field? There are absolutely no pre-requisites for any of our courses. Our courses have been designed for people with no prior beauty experience to get them into the Beauty Industry quickly and at a reasonable price. Our unique step by step video training program along with the subject training manuals explains everything from start to finish. What if I am having trouble understanding something? We have an extensive FAQ section for each subject which will cover most common problems. You also have unlimited online help 7 days a week for any more difficult challenges. We will work with you until you have mastered the section or sections you are having difficulty with. Do I have to do exams and assignments? We do not require you to do assignments, however we have minimum practical requirements that must be met for each subject. Once you have reached the MPR and feel confident with your skills you are required to sit a theory exam to gain your Certificate. This will test your understanding of both the theory and practical sides of the course. The exam is open book and with no time limit, but we do expect our students to achieve 100%. We will not fail you. If we are not happy with any answers, we will simply get you to answer again until you get it right. If you don’t require a Certificate you do not need to sit the exam. This will depend entirely on where you are situated in the world. Our Certificate is legal and valid for use anywhere in Australia and also many other countries in the world to either work in a salon or start your own business. If you are outside of Australia, you will need to check locally to see if any licensing requirements are in force or more formal qualifications are required. Do I have to do all subjects? The most economical way is to purchase all six subjects together, but you can purchase just one or as many as you like. The more you purchase the more discount you will receive. All of our courses are designed to be stand alone, but all subjects compliment each other, and the more skills you have, the more successful you will be. How do I get my practice? This is all explained in the course. You will be required to source models so that you can reach your minimum practical requirements. Models can be family and friends, friends of friends etc. We suggest initially you try and get models who have perhaps been to a professional salon for the service you are practising on them, so they can give you some comparative feedback, but you will know by the end result whether you have performed a service correctly. 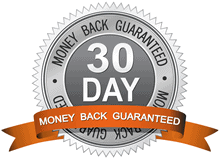 Yes, we offer a 30 day, no questions asked money back guarantee. 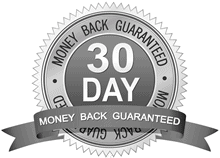 All we ask if you are not totally satisfied with the course is that you advise us of your intention to cancel within the 30 day period. (Please see terms and conditions). All online resources will also be withdrawn and not available for future use. Should I buy the Full Course or Individual Subjects? 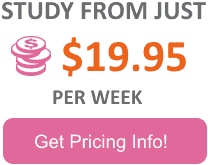 It is definitely best value to buy the Full Course, as the saving compared to buying all subjects separately is over 30%. But, it also depends on your goals. For a complete skill set, and maximum earning potential, it is best to learn all of the subjects, so the Full Course is the way to go. If you only need the skills from one or two subjects, then just buy the ones you need. You also get a 5% discount on two subjects. One thing I have noticed though, is that many people that buy one subject come back and buy more. So often it proves best to buy the Full Course up front.